Royalty Webdesign is a web design company in European Union that has developed until now many presentation websites, ecommerce solutions, management software and web applications for companies in Europe and Australia. Royalty web agency worked over time with companies in Austria, Germany, Italy, Spain, Hungary, Romania and Australia and has extensive experience in programming. web based applications for business, real estate, tourism, transport, construction, etc. Whether you want to create a new website or want to develop a complex web application with database you can call on our services because we guarantee a professional web design, unique, made with the latest web technologies. Our IT specialists doesn't use templates or predefined designs.They build new graphic design and web based applications customized to the needs and requirements of the clients.The technnology used is independent from a certain platform and the web pages created can be viewed on any browser using any operating system and any Internet connection. Royalty makes web pages in the European Union and on USA and Australia respecting the principles of SEO onpage optimization. This will guarantee a top position in search engines even without other costs of online promotion. Our top web design company is available for free consultation regarding the offpage SEO. Professional websites created by Royalty Webdesign can be updated with information through an easy to use administration module with a friendly and intuitive graphics. The administration module (content management system) will allow the recipient to edit the information contained in the site and may have a different complexity, depending on customer requirements. 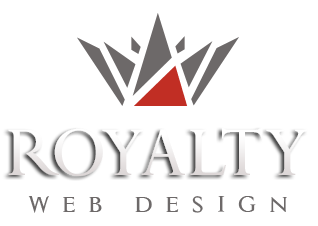 Royalty Webdesign Advertising Agency, has achieved until now many web design and complex web applications. To view some of our satisfied customers who have given us their trust, please visit the Portfolio section.